A preview party for dealerships revealed more design details. Ford has made no secret of its intention to launch the reborn Bronco SUV next year. Based off the same body-on-frame chassis that underpins the Ranger pickup truck, the new Bronco will be a true SUV with serious off-roading capabilities. The last time Ford sold the Bronco was back in 1996, so its market absence has essentially allowed competitors, such as the Jeep Wrangler, to have this segment all to itself. Not for much longer. A new report from Automotive News offers more design and feature details the new Bronco will incorporate following a top-secret preview event for dealerships in Palm Beach, Florida. Sources claim the first entry requirement was for everyone to relinquish their phones. Why? Because participants were shown an early build of a two-door Bronco. That’s right. A two-door SUV which, aside from the Wrangler, is a rarity these days. A four-door variant will also be sold, though it wasn’t on display. But the two-door Bronco also had a number of features that’ll position it further as direct Wrangler fighter. Because the Bronco is designed to be customizable, it can be spec’d with a removable hardtop and doors. Both can be stored in the cargo area. Even the side mirrors are attached to the front pillars so that they’ll stay put when the doors are removed. 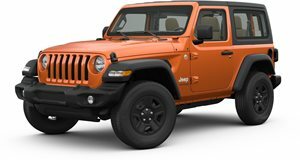 The Wrangler doesn't have this design trait. As we previously predicted, those in attendance claim the Bronco has a retro design, with a rectangular grille, round headlights, and "Bronco” boldly plastered across the front. 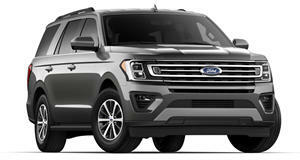 Dealer representatives were also treated to yet another upcoming Ford vehicle, the so-called "Baby Bronco.” Unlike the Bronco, this so far unnamed vehicle is car-based with a unibody platform. Also on hand at the event was the Mustang-inspired EV crossover. The report did not say whether either of the two was production ready, but both are expected to be revealed in full next year sometime. Chances are the Bronco will arrive first, and it couldn’t come at a better time for Ford. 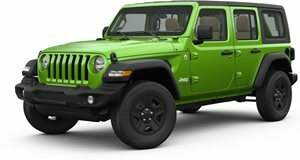 SUVs are hot sellers and the Jeep Wrangler and four-door Wrangler Unlimited are the perfect examples.